You’re going to have a baby! But what will you name him or her? Choosing a name for your baby is a momentous decision. That name will be with them for the rest of their lives. It will be one of the first things anyone learns about your child. It might even influence your child’s personality. When you are trying to come up with the perfect name, remember that you are not just naming a baby – you are also naming the adult that baby will one day become. That’s a lot of responsibility! How to Pick a Baby Name? 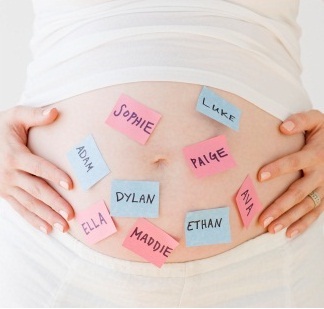 Many different considerations should go into choosing your baby’s name. You might want to please the relatives, avoid embarrassing nicknames, steer clear of initials that might mimic something or someone else, and of course, stay away from things that might bring up negative emotions or bad memories. Who knew that how to pick a baby name could be so complicated? Fortunately, it doesn’t have to be. Take your time and follow this checkpoint list about how to pick a baby name. When you consider a name, say it out loud. Combine it with the last name to make sure it doesn’t rhyme. It is also not a good idea to end a name with a vowel when the last name also begins with a vowel, as the sounds can run together. Avoid puns! Make sure that the name flows well with the last name. Your baby is unique, so make sure he or she stays that way through their lifetime by choosing a very unique baby name. For instance, avoid the list of very popular baby names from the year your child is born, or for several previous years. Look for a name that is memorable, but not one that will make kids laugh at your little one on the playground. What your baby’s name means can matter a great deal to them when they are older. Some people believe that the meaning of a child’s name can hold influence over their personality and character when they are older. Whether you believe this or not, it is always a good idea to give your child a name they can be proud of when they are your age. This is a very common tradition among many families, and it works. Choose a name that means something special to you, such as the middle name of a much-loved grandfather. You can even revive an old name that has fallen out of the family tree – for instance, a last name that “died out” because the descendants were all females who then chose to change their last names when they married. If you have a family tradition or heritage, it pays to follow it, assuming that you are okay with the history there. A child who has a strong name rooted in family tradition will likely feel more connected to his family when he is older. Consider the name from all standpoints. What will it sound like when your child is in their 50’s? How about in a nursing home? Though it’s tough to think about your children all grown up, it pays to do so when you are choosing a name that will carry them through a lifetime. Keep the spelling simple. Imagine your child in school, trying to spell out the name on a piece of paper. If it’s something that you or any other adult would have trouble spelling, it might be a good idea to avoid it. The same holds true with long names. They can be tough to spell and in some cases even tougher to pronounce. Look for a name that isn’t too long, but isn’t too short, either. Your child will eventually have a nickname, whether you give it to them or not. So choose a name that will offer a nickname you can live with. Finally, watch out for those initials! You don’t want your child’s initials to spell out a curse word, an acronym for something you hate, or anything that could be used against them when they are in school and around potential bullies. Naming a baby seems easy, but it isn’t always smooth sailing. You and your partner might have very different views about what you want to call your baby. There might be a family tradition that one of you hates, but the other one is determined to stick to. It’s important to avoid fighting over a name. After all, this is supposed to be a very special time in your life, and the last thing you want is an argument over what to name your kid. Here are some ways to help ease the fighting and learn to negotiate over the name of your child. Instead of trying to choose a name together, take turns choosing names, and then bring them up. You might go back and forth a bit, but it’s sure to come up with a winner eventually. You and your partner can make a pact that one person will name one gender, the other person will have the say over naming the other. For instance, mom might name the boys and dad might name the girls. If you are working together on getting a name, one partner can narrow down the list to three or four good ones. Then the other partner gets to choose the winning name. If you absolutely hate a particular name, make it clear that will not be used. The last thing you want is to call your baby a name you despise. Agree that you will only put it on the “short list” if you both can live with it. Never name your child after an ex-flame, an ex-lover, or anyone else who was important to you way back when. You don’t want to be reminded of that name over and over again for the rest of your life. Still completely stuck on choosing a name? Give the responsibility to someone else. Turn to a beloved aunt or uncle, a best friend, or someone else who loves you, and give them a short list. Let them decide what the final name will be. If you are going for something original, you might want to avoid popular baby names. On the other hand, some of these are too cute, and can be tempting! Here are the most common baby names from 2013.